This morning in the Wykeham South Lake area 4 Egyptian Geese, Little Ringed Plover, 4 House Martins, Yellow Wagtail, Wheatear, 2 Lesser Whitethroats and 6 Corn Buntings, and at Potter Brompton Carr 6 Wigeon, 3 Snipe, singing Tree Pipit, Lesser Whitethroat and 2 Reed Warblers. At Long Nab today the highlight was a Blue Fulmar which went north at 08.45 and there were also 4 Common Scoter, 2 Red-throated Divers, 4 Sandwich Terns and a Sand Martin flying north. Further south in Trough Gully there was a Grasshopper Warbler singing. 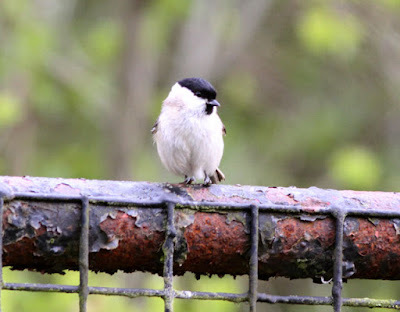 In the Seamer area today a Short-eared Owl and a Sedge Warbler were seen at Taylor Way, 2 Lesser Whitethroats by Seamer Tip pool, Garden Warbler by the 3 ponds and a Little Ringed Plover on the almost dry pool by the railway bridge on the way to the recycling centre. Finally in Dalby Forest a singing Turtle Dove was seen at Staindale, grid reference SE905914, the first for the year.